3. Click on the View Record button next to the name of the member you want to add a document to. 4. 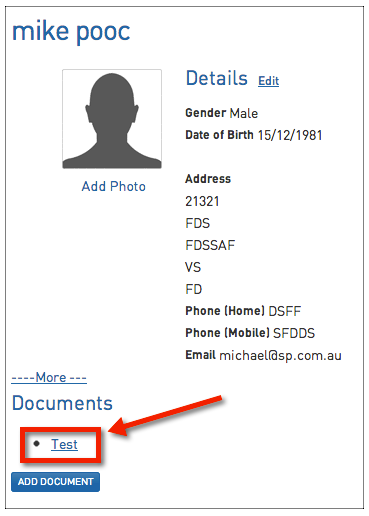 From the member's 'Dashboard', scroll down to the Documents area and click on Add Document. 5. The member's 'Documents' screen will open. This screen enables you to upload up to 3 documents at once. 6. 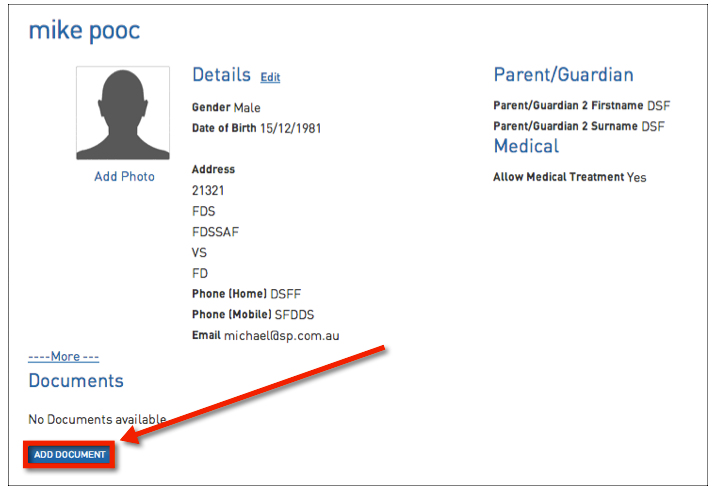 In the 'Document Name' field, type in the name or a description of the document. 7. 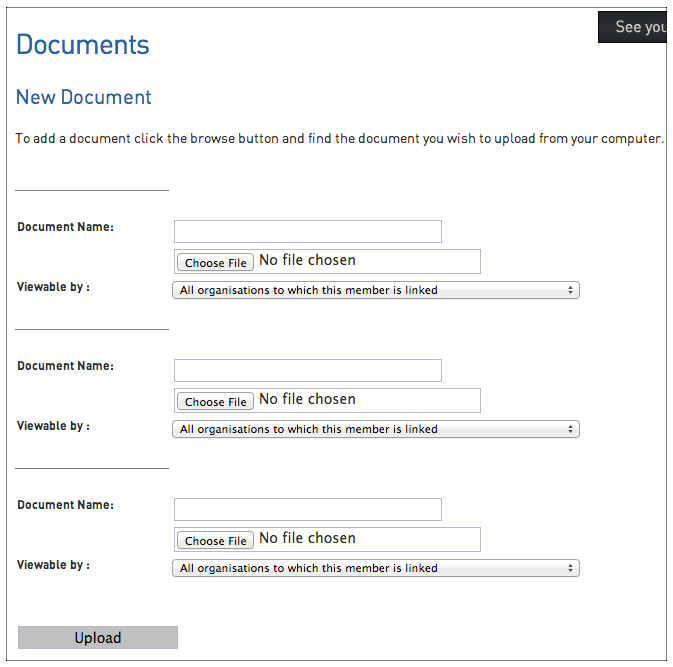 Click on Browse to locate and select the document from your computer's file directory. 10. The page will refresh and the uploaded document/s will appear in a list at the top of the page. 1. From the member's Dashboard, click on Add Document. 2. At the top of the page is the list of documents attached to the member's record. Click on Delete next to the document that you want to delete. 3. A lightbox will appear asking if you are sure that you want to delete the document. To proceed, click on OK.
4. The page will be refreshed and the document will be removed.